Who needs a Visiting Physician? Visiting Physician would assume your medical care and become your primary care physician. However, we would coordinate care with your other medical specialists (cardiologist, pulmonologist, etc.) as appropriate. Visiting Nurse Association (VNA) Health Group is New Jersey’s largest nonprofit Visiting Nurse Association that helps individuals and families achieve their best level of health and well-being by providing home health care, hospice, palliative and community-based care and operating private-pay personal care services. A full range of primary-care services are available through VNACJ Community Health Centers. Their unique partnership model with health systems leverages their clinical and technical resources to operate VNA of Central Jersey, Cape VNA, Robert Wood Johnson Visiting Nurses, VNA of Englewood, and Visiting Physician Services. 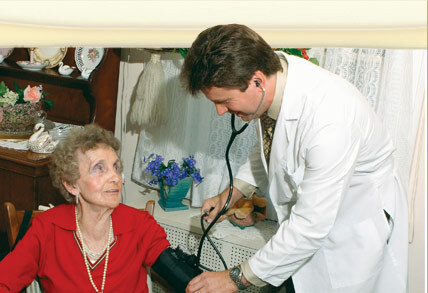 Their in-home services include nursing, certified home health aides, rehabilitation therapy, geriatric care management, palliative care, telehealth monitoring, nutritional counseling and hospice. They have a special focus on vulnerable populations such as children, older adults and those with serious and disabling chronic illness. For more information about VNA Health Group call 800.862.3330, visit www.vnahg.org.